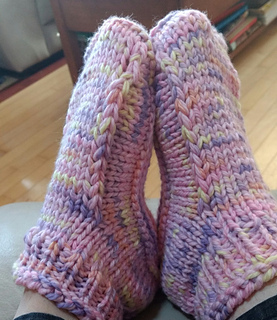 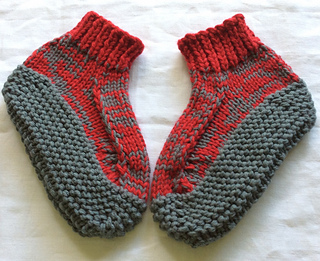 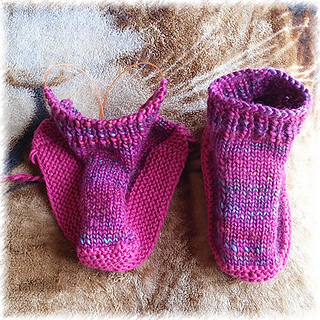 I see so many projects on Ravelry where the knitter has used my Crocodilly Mocs pattern and changed it up a bit with a ribbed cuff instead of the crocodile stitch. 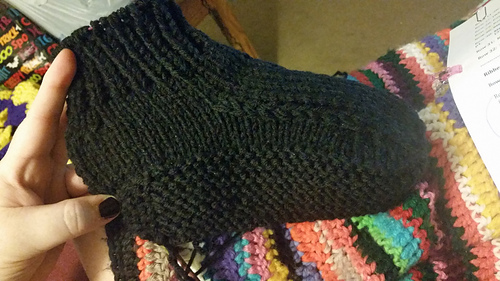 I’d thought I’d go ahead and write it up as a pattern for those not interested in a croc stitch cuff. 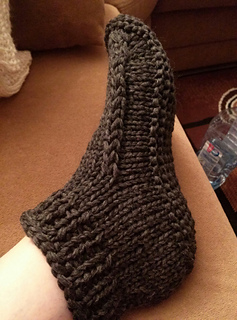 This really is, in my opinion, a better “dorm boot”. 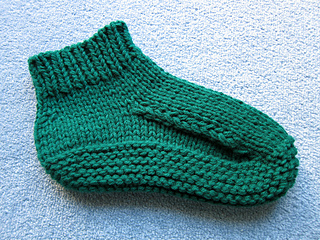 Made the same way as the traditional dorm boot, knit flat and seamed at the end. 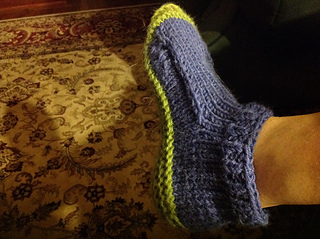 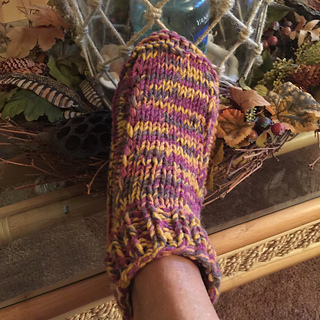 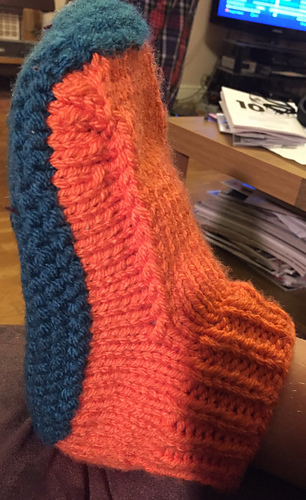 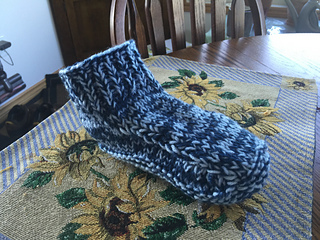 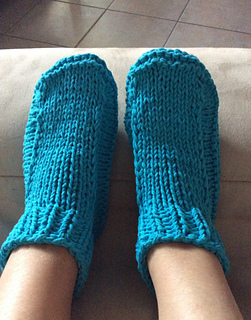 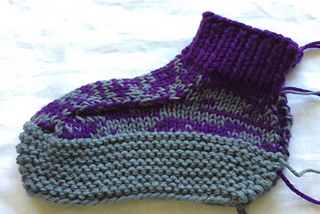 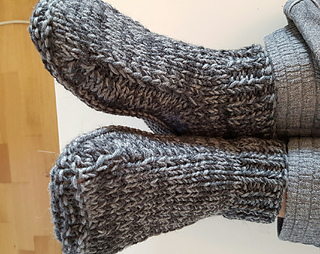 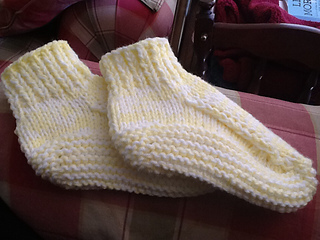 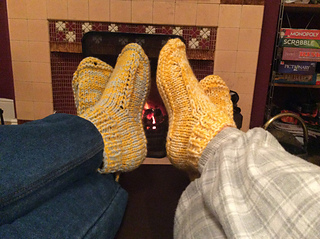 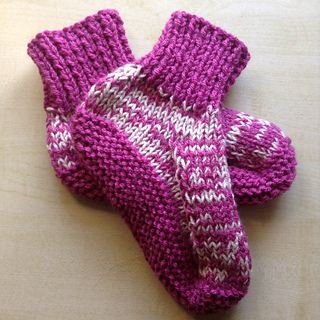 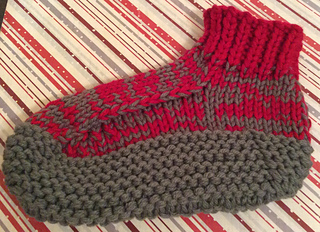 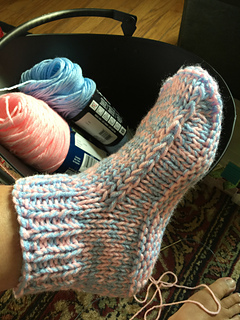 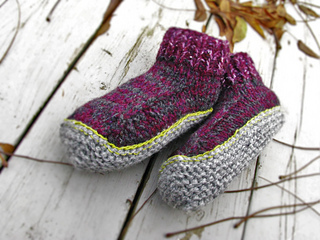 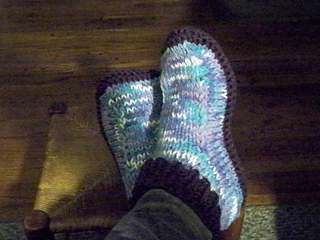 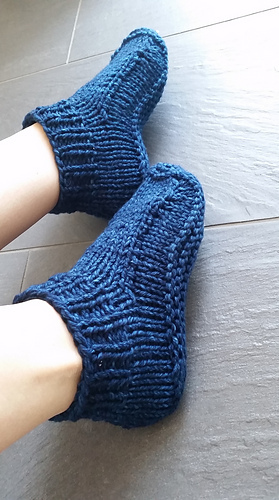 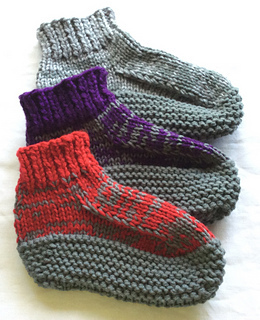 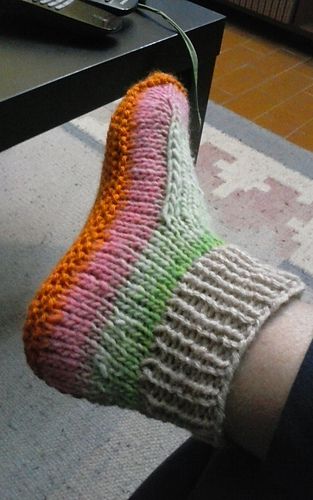 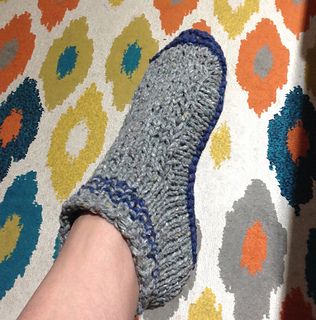 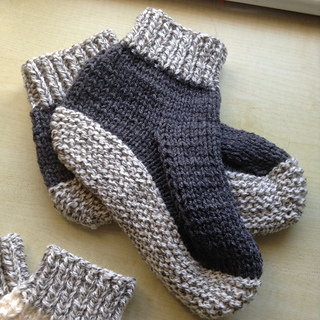 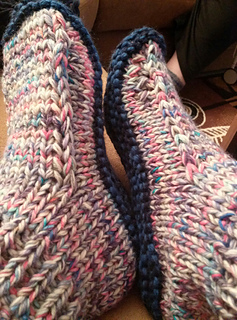 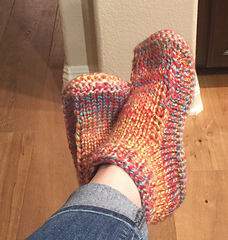 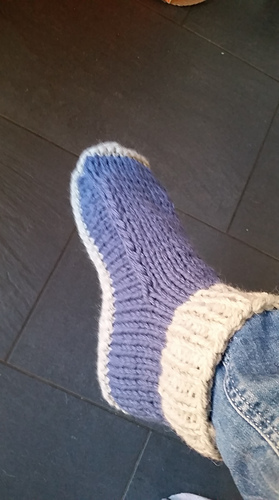 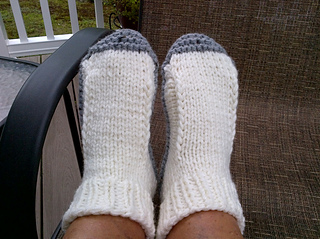 These knit up fairly fast - I can knit one slipper in 2 hours. 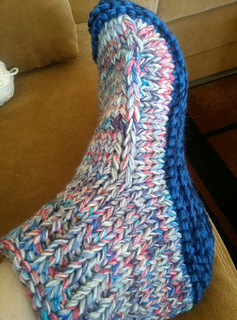 Stitches used include, Knit, Purl, Sl-1, psso, k2tog, p2tog, k3tog, ssk.